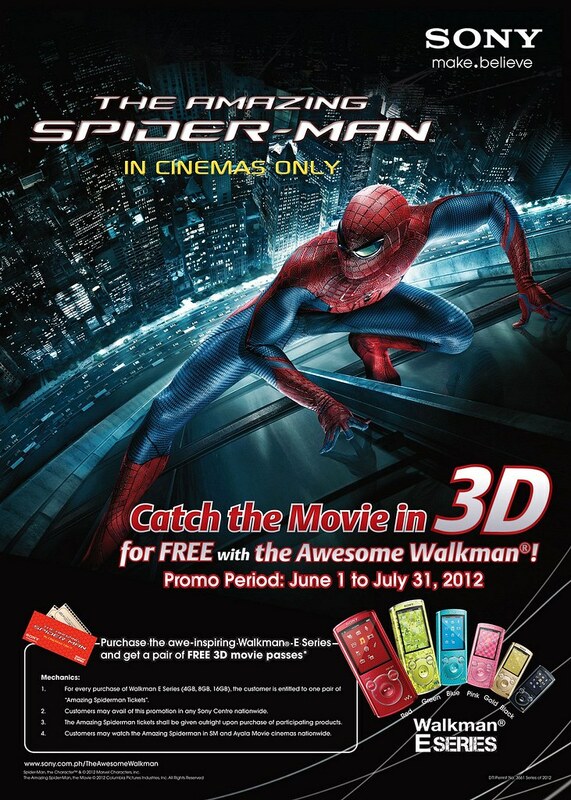 Sony Philippines: Amazing Smart Phones, Amazing Spiderman Promo! He's one heck of a superhero and he's probably one of the most prominent ones that comic books has ever produced! He's so close to me and a lot of other people because he's almost human. I like that and I'm sure once this movie hits theaters it'll be a battle in the box office success. Avengers, meet your arch enemy LOL! It's so nice that this is showing in the Philippines, but you know... THERE'S MORE! SONY PHILIPPINES recently launched 2 promos last June 5 and will run until July 30, 2012. 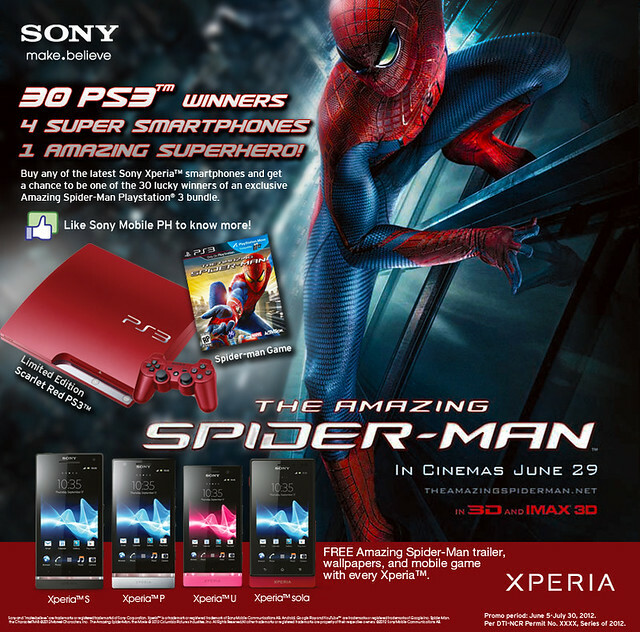 You'll get to win Special Edition Sony PlayStation 3, PS3 Spider-Man game and movie tickets to “The Amazing Spider-Man” which will show in Manila on June 29! First up is the "Amazing Smart Phones, Amazing Spiderman" Promo. This open for the fans of the Facebook page Sony Xperia™ Philippines which you can find at http://www.facebook.com/sonymobileph. You can win one of 30 Amazing Spider-Man PlayStation 3 up for grabs that's also bundled together with a Limited Edition Scarlet Red Sony PlayStation 3, Official Sony PlayStation 3 Spider-Man CD. You must be 15yo and above plus a resident of the Philippines in order to be eligible. Just purchase any of the four new Sony XperiaTM Smart Phones and send entries using the official Amazing Smart Phones, Amazing Spiderman Application on the Sony Mobile Philippines Facebook page. Will watch this one. Soon! Yay!! When i particularly like the seem involving Aquadelic, that seems generate income had envisioned Audrey could seem, however didnt! When i in addition like exactly how wearable that will orange is apparently.